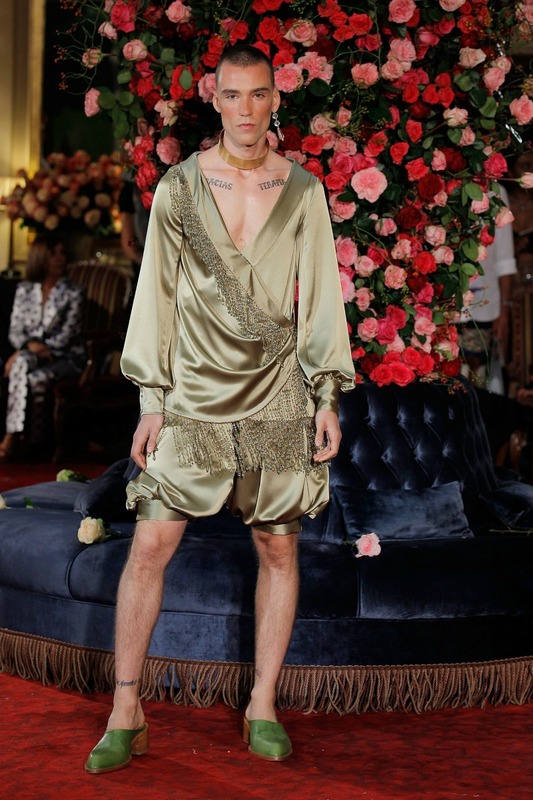 You can read about Palomo Spain´s S/S2018 Show in National and International Press; I will just tell you what I felt. 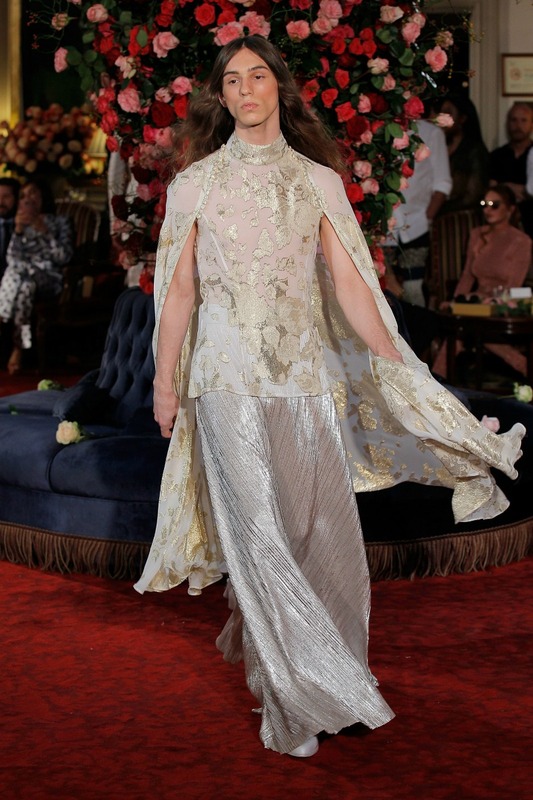 As we entered the main Salon we were swept away by the smell and view of a rose garden. 4 thousand fresh roses in the glass vases, cascading like fountains, dancing with tapestries and chandeliers. We were in a dream cloud, among people that spoke our language. We had come home. And in that home the first person I saw in the crowd was my dear and admired Pedro Almodóvar, so without giving it a second thought I walked to him and said 'I wouldn´t forgive myself if I passed by without giving you a hug' and he stood up and said 'I wouldn’t have forgiven you if you hadn't', 'You look wonderful', he added. We hugged as if we were old friends and the emotion was deep. I need no photo to remind me of that moment. I have it well kept in my heart. 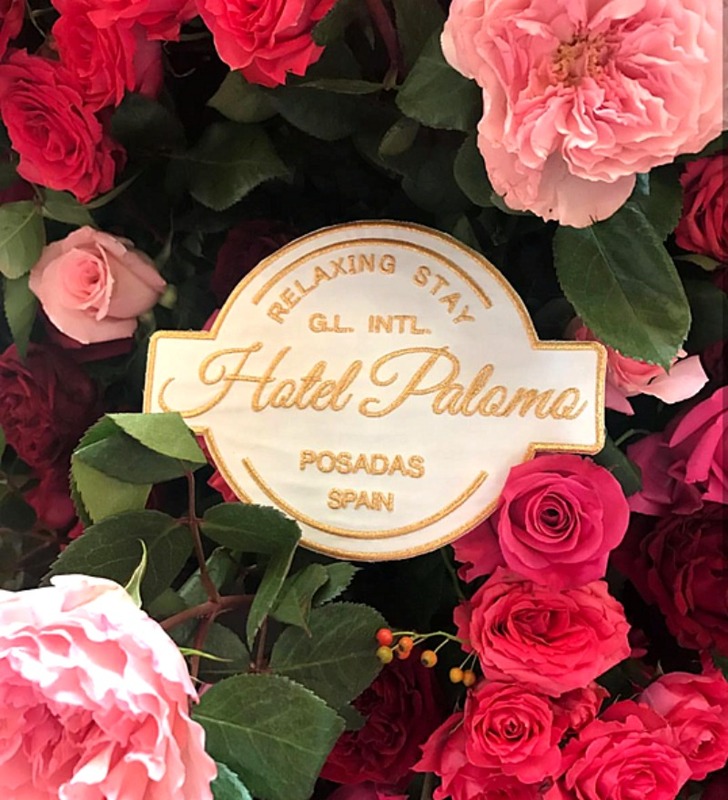 Rebecca and I headed to our seats where we found a rose tied with a satin bow to a bundle of romantic vintage hotel papers as a gift to the guests: A love letter, postcards, intimate notes of unknown people... Everything you could expect to find if you had stayed at Hotel Palomo. Then the music started playing and the show began. 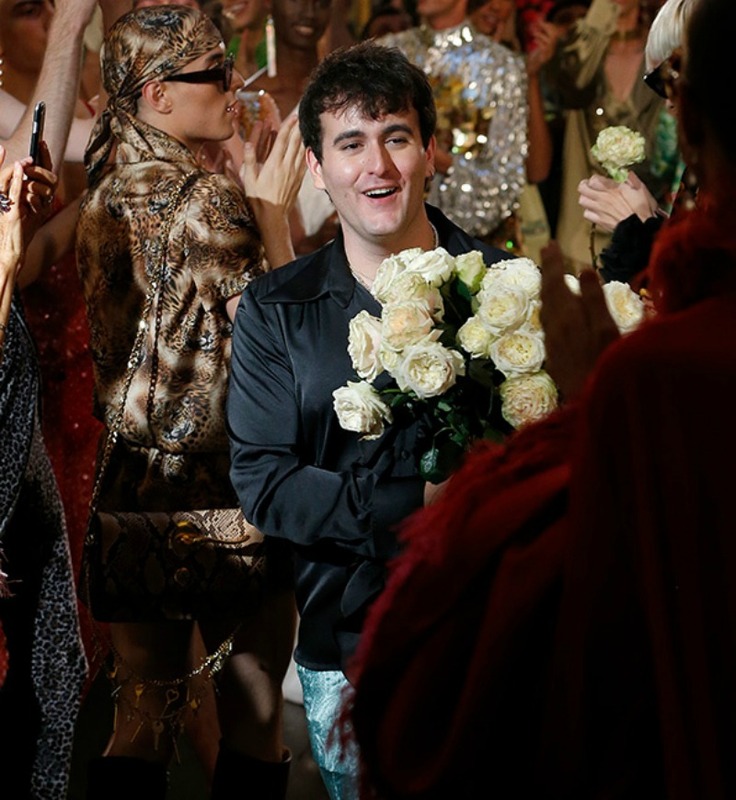 Models and friends paraded among velvet and roses and the explosion of Alejandro´s imagination became a reality. Bath towel suits, silk and feathers ended with the models dancing with us in a true party atmosphere. In the After Party I met Alejandro, the maestro himself at last. This is another hug I will not forget easily. He, like all big people was humble, generous, close, and immediately a friend. Rebecca and I stayed until the end, and one thing is clear, we were, and are gagging for more. More of wonderful fashion input, more of the things well done. 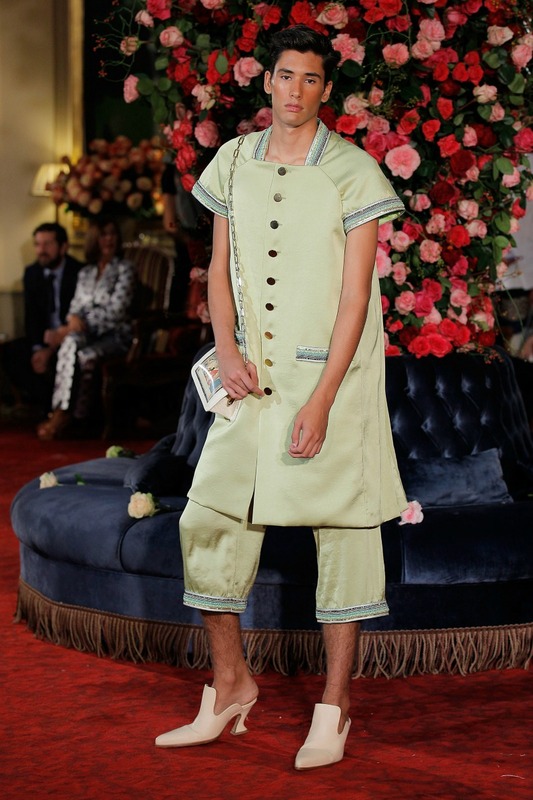 More, FOREVER more of Palomo Spain. Puedes leerlo todo en prensa especializada nacional e internacional, yo sólo os voy a contar como me sentí. Al entrar al salón principal nos inundó el aroma y la visión the un jardín de rosas. 4 mil rosas frescas en jarrores de cristal, como cascadas compitiendo con lámparas y tapices. Estábamos en una nube rodeadas por gente que hablaba nuestro idioma. Habíamos llegado a casa. Y en esa casa a la primera persona que ví fue a mi querido y admirado Pedro Almodóvar, así es que sin pensarlo dos veces me fui hacia él y le dije "que no me perdonaría pasar de largo sin darle un abrazo". Él, se levantó y me respondió que" él tampoco me lo hubiera perdonado y que estaba estupenda". Nos abrazamos como viejos amigos y la emoción fue intensa. Tanto que no necesito foto física del momento, ya la tengo yo en mi corazón. Rebecca y yo nos dirigimos a nuestros asientos donde nos esperaba una rosa atada con un lazo de raso a un hatillo de recuerdos románticos a forma de invitación. Entonces comenzó la música y el show se puso en marcha. 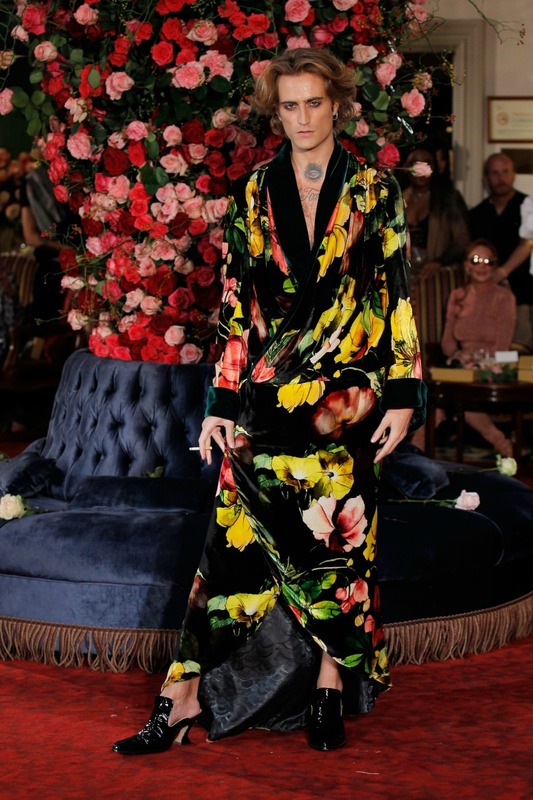 Los modelos y amigos pasearon entre terciopelos y rosas y la explosión creativa de PalomoSpain se hizo realidad.Trajes hechos con toallas de baño, sedas y plumas. 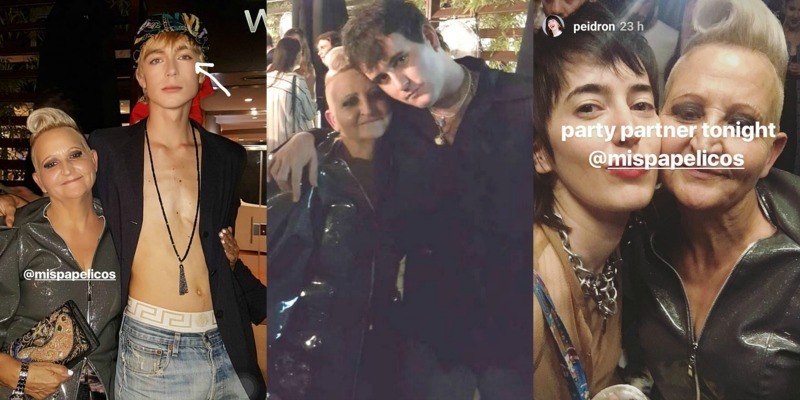 Y al final los modelos y los espectadores fuimos uno disfrutando de la fiesta creativa. El el after party conocí y abracé al maestro, otro abrazo que no olvidaré fácilmente y que espero repetir. Alejandro, como toda la gente grande de verdad, fue cercano, humilde, generoso y amigo. Rebecca y yo nos quedamos hasta el final con hambre de MÁS. 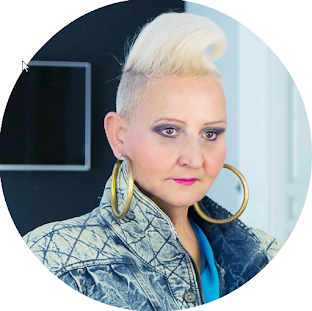 Más de éste fashion input, más de las cosas bien hechas.Y más, SIEMPRE más de PalomoSpain. Posted by mispapelicos at 11:40 a. m.